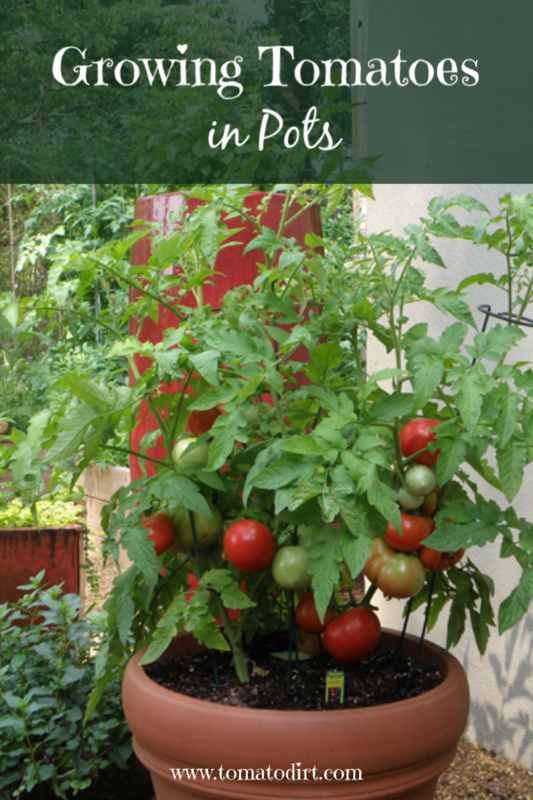 Growing tomatoes in pots is one way to enjoy fresh tomatoes, even if you’ve never gardened before! Fresh tomatoes are becoming more expensive in stores, at farmer’s markets, and vegetable stands. But you don’t need to pay high prices for tomatoes, even if you don’t have room for a garden plot. Tomatoes are one of the easiest crops to grow. Containers and pots are versatile. The beauty of growing tomatoes in pots is that nearly anyone can do it – no matter if you live in a tiny condo, on a farm, in suburbia, or in a high-rise apartment with no patio. They work on a patio, porch, driveway, greenhouse, walkway, stairway, deck – even in a sunny window. Pot size is not really a factor, either. You can find tomato varieties that flourish in small containers like quart pots. Or if you have more room, you can create an entire miniature vegetable garden in large barrels or anything in between. Containers are portable. You can bring your containers inside temporarily if the forecast is too cold or too wet. Towards the end of the season, you can extend your tomato harvest by moving containers to a protected area or into the garage overnight. Containers are useful in small spaces. You may not have room for a full-blown vegetable garden or even a tiny patch, but you can still enjoy fresh tomatoes for less money than you’d spend at the farmer’s market or a roadside stand by growing them in containers. Containers are convenient. Your schedule may not allow time to manage a vegetable garden. But it takes just a few minutes to plant tomatoes in containers – and a few seconds a day to check on them. Harvesting is easier, too. Containers allow for short growing seasons. If you live in a climate when summers are short, you can be successful at growing tomatoes in pots. You won’t need to wait for the ground to get warm in order to begin planting. And you can extend your harvest by bringing plants indoors if autumn comes sooner than later. The main challenge to growing tomatoes in containers is you have to be extra careful with watering. Containers are above ground. They dry out quickly so you’ll need to check the soil often. Over watering can lead to problems, too, which you can take measures to avoid. Containers without drainage holes or proper drainage material in the bottom can make your tomatoes are vulnerable to root rot. Good drainage solves most over watering issues! Choose a spot with easy access so you can monitor containers regularly, water plants and check for pests. Keep in mind that tomatoes need 6-8 hours of full sun a day. Most any container will work. Two keys are important. 1. Select an appropriate variety for the pot you’re using. Keep in mind that tomatoes grow large root systems. When you give them room to develop, plants can flourish and produce. Select the biggest pot your growing area will tolerate. Read more about choosing containers and pots for tomatoes. 2. Make sure your pot has adequate drainage. Holes in the container bottom allow excess water to drain properly. Place drainage material (like gravel) in the bottom of the pot before you add soil to provide air pockets so roots don’t drown. Tomatoes grown in containers need a loose, well-drained soil with lots of organic matter. Successful gardeners recommend using a good potting mix rather than potting soil or garden soil. 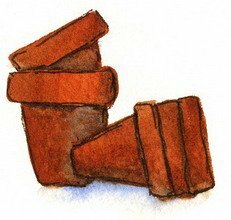 Potting soil can be too heavy for containers. Soil harvested straight from the garden is most likely infested with fungi, weed seeds, and pests. Learn what to look for in a good potting mix and how to save money by making your own. Always moisten your potting mix slightly before planting. Read step-by-step instructions for planting tomatoes in containers. If you’re new to growing tomatoes in pots, buy tomato seedlings rather than starting your plants from seed. Seedlings give instant gratification and quicker results, which are especially important for first-time gardeners. By using plants, you’ll also remove some variables that come with starting seeds. Find seedlings at local nurseries, garden centers, and home improvement stores. You can also order tomato seedlings from online garden retailers. Buying locally is usually cheaper than online because you don’t have to pay shipping fees. Buying online, however, offers more selection. Tomatoes come in hundreds of varieties, and a larger selection is a factor to consider. Choosing varieties that do well in pots is one key to success. Select varieties that work best in containers. As you gain more experience, you might try your hand at starting tomatoes from seeds. A wide variety of cultivars are available by mail order. 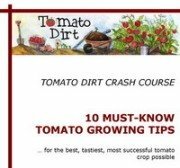 You can check out our list of tomato seed vendors and even add to the list! You can also save seeds from year to year and save money in the long run. Read tips about how to start tomatoes from seeds. What potting mix should you use for growing tomatoes in pots?